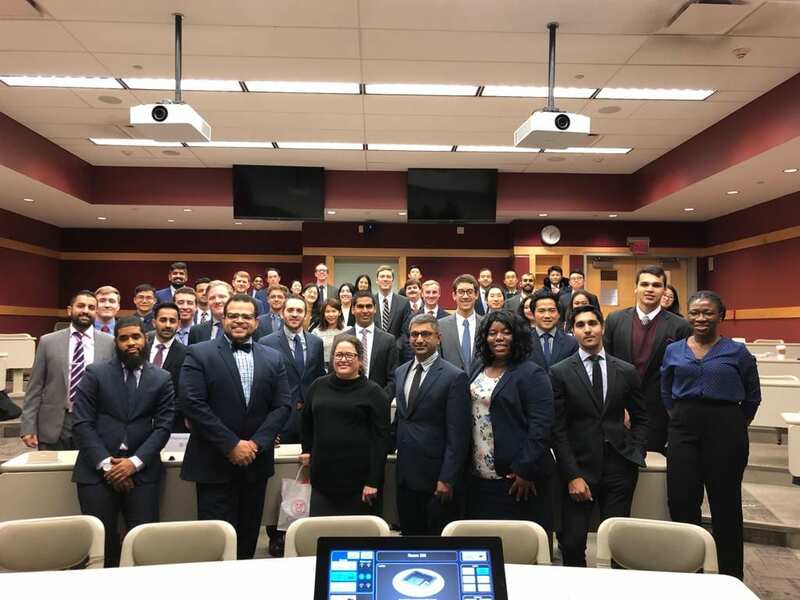 DSS Wrap-up: Julie Romey (Baker ’99), Senior Principal, Keyser Marston Associates, Inc.
Ryan Christopher Sequeira is a Master of Professional Studies ’20 candidate at the Baker Program in Real Estate at Cornell University’s SC Johnson College of Business. He has a professional degree in Architecture (Nagpur University, India) and a graduate degree in Urban Design (School of Planning and Architecture, New Delhi). Over the last ten years, he has built an expertise at the intersection of planning, design and transportation, focused on infrastructure for sustainable transit, transit oriented development, and multi-modal integration. Upon graduation, Ryan plans on working towards economic rejuvenation of cities through innovative financing and urban renewal. This week, the Baker program in Real Estate welcomed back an alumna, Julie Romey (Class of 1999), for its Distinguished Speaker Series. Julie is the Senior Principal at Keyser Marston Associates, Inc., and specializes in Affordable Housing Strategies, Programs, and Transactions. Over the last two decades, she has built an expertise in the New Market Tax Program and Long-Range Management Plans and continues to provide public and private clients with real estate economic analysis. In her role as an advisor to the public sector, Julie analyzes residential projects for their affordability components and evaluates the financial viability of the deal. A significant portion of her work is not purely quantitative, especially in evaluating the public benefits of parks and amenities, job creation, livelihood generators etc. The field is as much an art as a science. She is a firm believer in creating win-win situations where both parties share risk and reward, and walk away from a deal in such a way that each party enthusiastically works with each other again in the future. To facilitate affordable housing and other public benefits, her projects are granted HOME funds, low income housing set-aside funds, HUD 202 and 811 funds as well as various State of California housing program funds and the federal low-income housing tax program credits. Public benefit projects are complex in the structuring of their capital stack, and if efficiently done, use 8-10 different funding sources to provide 9% of tax credits that can equal almost 70% of equity. Julie has had a role in structuring development agreements for mixed-use and affordable residential projects in Anaheim, Brea, Fullerton, Los Angeles, Long Beach, Pasadena, Carson, Buena Park, Huntington Beach, Burbank, Hollywood, Simi Valley, Rialto and Signal Hill. Based on her experience and expertise, Julie has authored the Housing Section of Implementation Plans and has drafted a template for the report required by California Senate Bill 341 on Redevelopment. 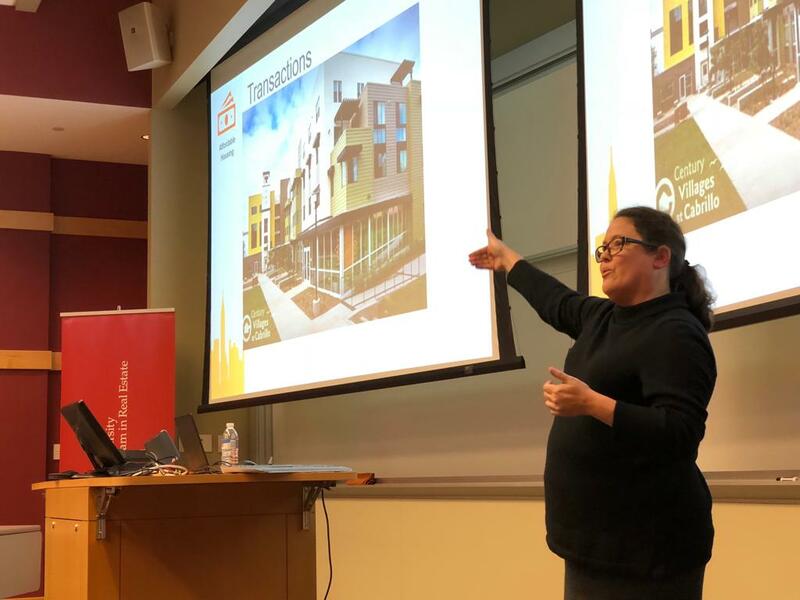 Speaking about her extensive work in California, Julie presented the leaps and bounds in the growth of affordable housing within the state, where projects were executed over 38,341 covenants with a 10:1 leverage with private developers. While the state still has much to do to address its homelessness problem, she commended the City of San Diego for their ability to work with the efficiency of the private sector, spur development, and sell land holdings at fair market value, the profits of which are then redirected into affordable housing. San Diego is also home to her favorite project of all times, the base closure and redevelopment of the Naval Training Center. The large swathe of land available in the center of an existing city created a blank slate for the city to almost reinvent itself. Its location came with significant challenges of crash zones and noise levels that made the project all the more stimulating in its zoning. While a significant portion of work in the area of affordable housing was through the State Redevelopment Agencies, ever since their closure in 2012 to bridge budget deficits, it has evolved to the successor agencies from summarizing their properties, determining a disposition category for each property, and writing the Long Range Property Management Plan. Today however, opportunity zones are creating the buzz in the industry with the IRS recently releasing the regulations regarding the subsidy benefits. There is a potential that this may restrict affordable housing though because of relatively thin subsidies and a shorter time frame ranging from five to ten years in comparisons with the seven years for New Market Tax credits and the ten years for low income tax credits. Even so, this remains a segment that allows significant opportunities in association with other credit and subsidy schemes. On a personal note, Julie regaled the audience with tales from her days at Cornell, and her role in restructuring the academic requirements of her program to better suit the profession. The Baker Program in Real Estate enjoyed hearing her speak at the Distinguished Speaker Series and thanks Julie Romey for coming back to share her knowledge and experience.